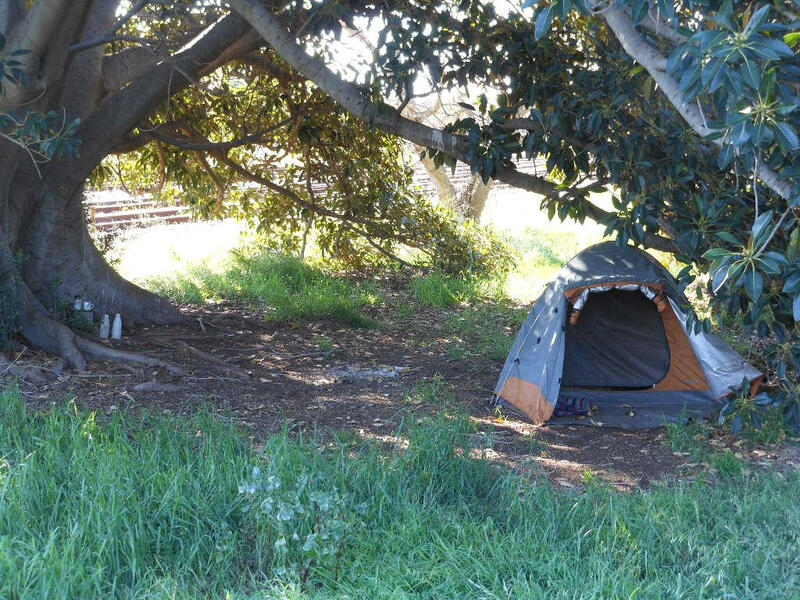 Campground for the Homeless on Maui? A Maui nonprofit wants to build a state-of-the-art campground facility that can be used by both recreational and homeless campers, but neighbors think it's a bad idea. Eileen Chao has more from The Maui News. The Ho'omoana Foundation wants to build the facility on two acres of private land in West Maui. Initially, the camp would have eight pods--sites with space for a tent and picnic table. If the project is successful, it could be expanded to accommodate a total of 26 pods, or 80 campers. All homeless campers will first be interviewed by the nonprofit before being allowed a space. No drugs or alcohol will be allowed, and all campers must comply with a strict code of conduct which is enforced by a live-in manager who will be on site 24/7. Developer Peter Martin is donating the land. He says he wants to help provide a creative solution to the homeless crisis that's been spreading throughout the state. The most recent count shows more than eleven hundred homeless people living in Maui County. But neighbors say a “tent city” will bring dangerous individuals to the area, drive away tourists and lower their property values. At least four neighborhood associations are opposing the project. An online petition to delay approval of the campgrounds has more than 800 signatures. Critics argue there's already a homeless shelter in West Maui that provides an actual roof, not just a tent. More than 150 people are waiting to get into the shelter, including 60 children. Advocates say in the meantime, a tent wouldn't be so bad.